Do you want to know how to get to Incheon airport from Grand Walkerhill Seoul? There are many ways you can get to Incheon airport from Grand Walkerhill Seoul such as public transportation (bus, subway / metro), taxi and Blacklink limo/transfer/shuttle service. Don't sweat outside waiting for other transportation with your luggage. Make a round trip reservation with Blacklink as you plan for your trip. It is easy, convenient and available 24/7. Then, the assigned Blacklink driver will greet you at the arrival and will drive you to the Grand Walkerhill Seoul. You can use Blacklink for not only hotel but also Gimpo Airport (GMP), Myeongdong, Jongno-gu, guesthouse, resort, airbnb, lodging and anywhere you want to go in Korea. Check out Blacklink customer review posted below. 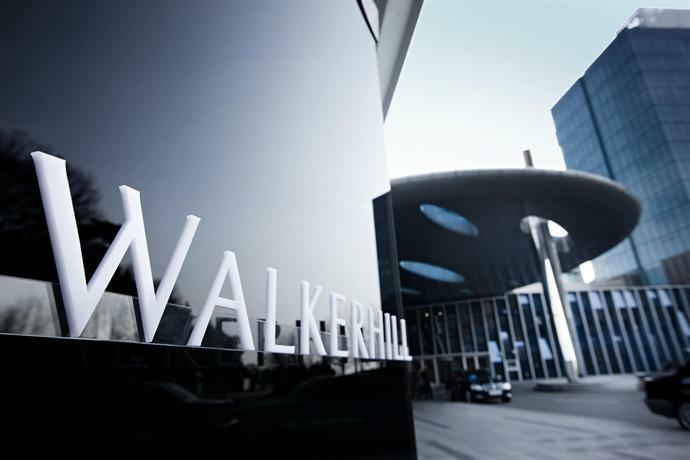 Boasting an outdoor pool, outdoor tennis courts and a sauna, Grand Walkerhill Seoul is located in Seoul and offers modern accommodation. 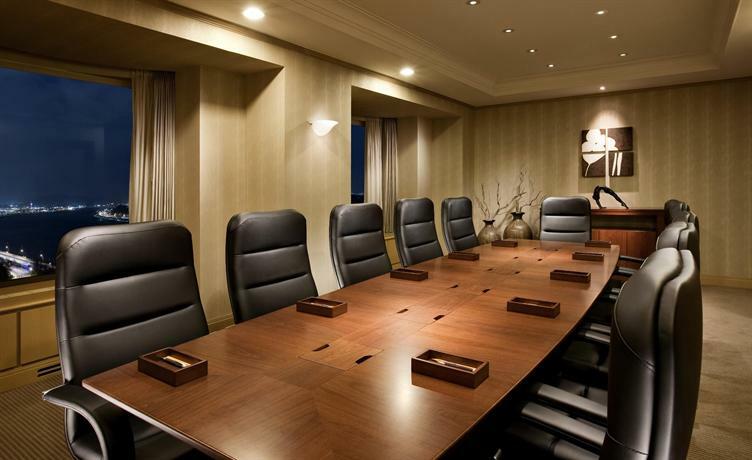 The various facilities this elegant hotel features include an executive floor, valet parking and a free shuttle service. 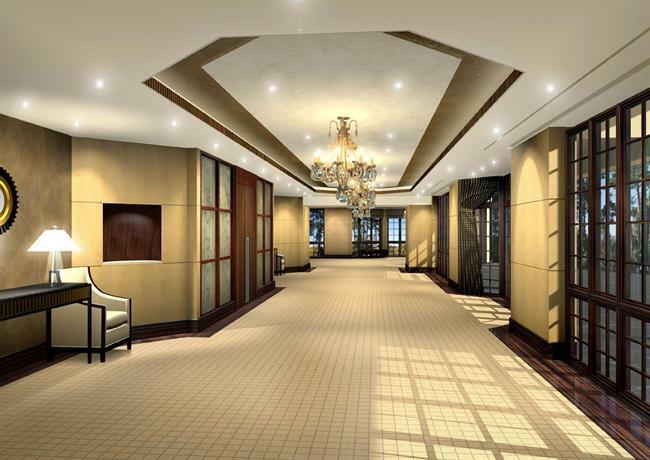 The luxurious feel of each room at Grand Walkerhill Seoul is complemented by facilities such as slippers. All offer an in-room safe, a CD player and bottled water. Providing international cuisine, the hotel's elegant restaurant is an ideal option for guests wanting to enjoy a meal on-site. In the evening, guests are able to relax in the cosy lounge bar. A wide choice of dining options are also available in the area. 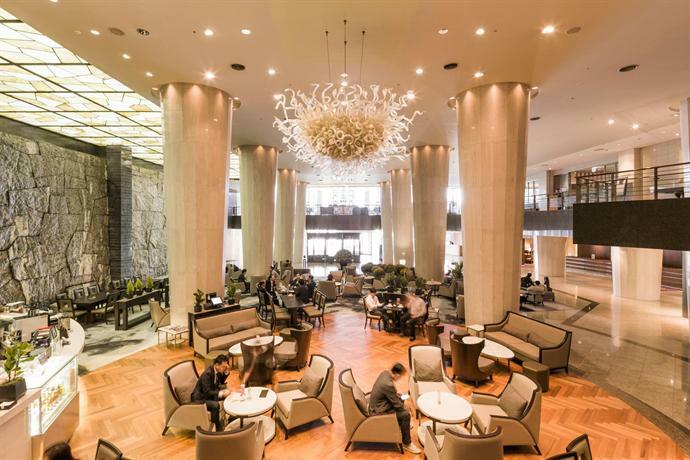 Grand Walkerhill Seoul is within walking distance of Gwangnaru Subway Station (Line 5), connecting guests with the surrounding area. The helpful staff at the tour desk are available to book tours and sightseeing trips in Seoul. Situated in Gwangjin-gu, Seoul Children’s Grand Park houses various facilities for families, including a zoo, botanical garden, amusement rides, and diverse performance events within a vast area. Opened on Children’s Day (May 5) in 1973, the park is full of attractions that appeal to children and the young-at-heart. It was renovated on Children’s Day 2009 to repair old and worn facilities. It became an even more spacious and pleasant park thanks to the renovation work. 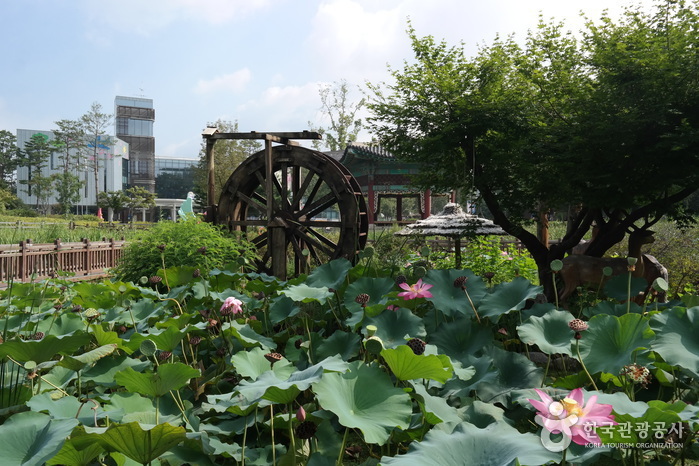 Olympic Park is an impressive leisure facility in which historic remains from the Baekje Era share space with modern, state-of-the-art sports stadiums, an eco-friendly forest, and spacious grassy fields. The legacy of the 1988 Seoul Olympics, the park not only houses the country’s largest sports arena, but has also become a place where Seoul residents come to relax and unwind. Spread across 430,000 pyeong (approximately 1.45 million ㎡), Olympic Park encompasses the land that was once Mongchontoseong Fortress and Mongchonhaeja (manmade lake) from the early Baekje period. 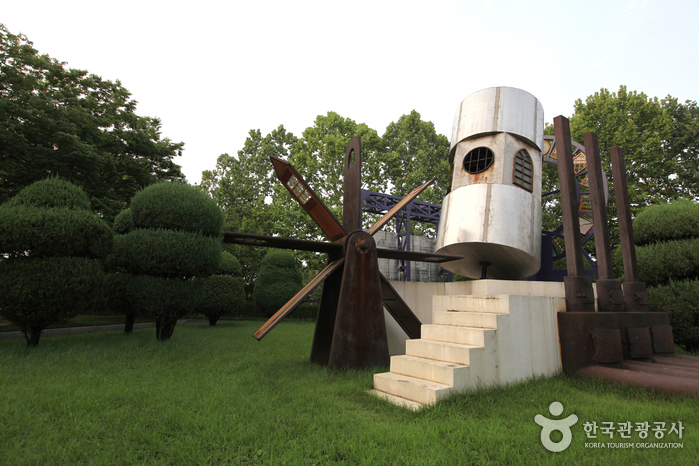 The park is divided into several zones, including a leisure sports park, a cultural art park, an eco-park, and the History Experience Park dedicated to the area’s rich historic heritage. Because Olympic Park is so large and takes over three hours to explore, visitors are advised to familiarize themselves with entrances and exits and travel routes before they start. To further save time, visitors can ride the Road Train (“Hodori Train”) located next to Peace Square. The Cultural Art Park is a place where visitors can enjoy diverse cultural experiences and performances. The park also features Olympic Museum, Seoul Olympics Museum of Art (SOMA)—one of the world’s top five sculpture museums—and Music Fountain. This area is comprised of Sports Square (walking/jogging paths, an acupressure path, inline skating area, etc.) and Peace Square (a pleasant area with a wide variety of activities and sports lessons). Persistent efforts have succeeded in restoring natural splendor to this place where a equally splendid civilization once blossomed. People and nature co-exist comfortably within Environmental Eco-Park, which has become home to families of spot-billed ducks, white herons, cuckoos, pheasants, Korean squirrels, chipmunks, and frogs. More recent efforts to rejuvenate the local ecosystem have resulted in the appearance of woodpeckers and raccoons, both of which are rarely spotted in cities. The croaking of small round frogs can now be heard within the park as well. * History Experience Park Visitors to the park can experience Korean history firsthand at Mongchontoseong Fortress and Baekje Museum, while hearkening back to the more recent, grand spirit of the Olympics in the "Holy Land of Peace." Three times listed on the ever-popular Wall Street Journal's ‘Asia’s Best 5 Restaurants,’ Byeokje Galbi (벽제갈비) is sure to win the hearts of diners of all ages. Beef used in dishes comes from cows raised on a Pocheon farm under the direct management of the restaurant and is richly tender and incomparably delicious. This is one of the best places to truly enjoy the authentic taste of Korean beef. 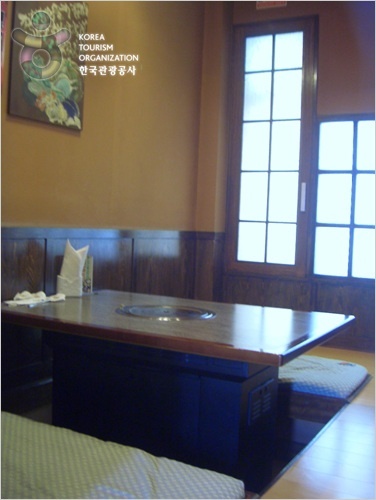 *Best Korean Restaurant as designated by the Seoul Metropolitan Government. 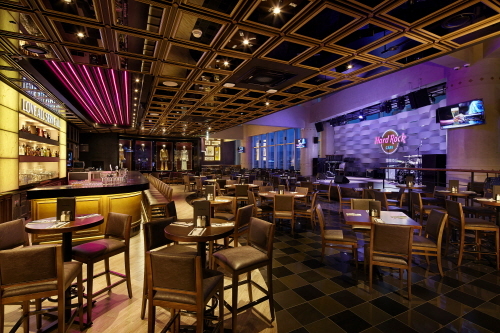 Hard Rock Cafe Seoul is located at the iconic Lotte World Mall in Jamsil, one of Seoul's greatest new landmarks. 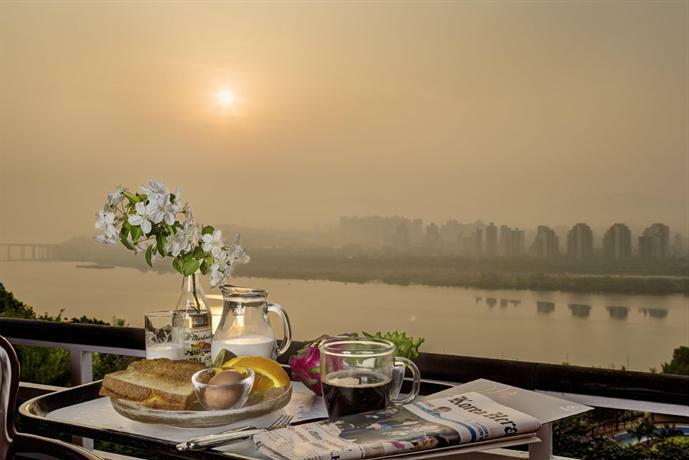 Enjoy an unobstructed panoramic view of Seoul and Seokchon Lake from your table. The restaurant even has a retail shop as your enter, as well as a bar and live performances from house bands as well as other well-known international and local musicians. The posh restaurant boasts various cuisines, from their legendary home-made burgers to exquisite Korean inspired dishes hand crafted by internationally renowned chefs. The shop sells world famous Hard Rock merchandise, such as various collectibles and T-shirts. Philanthropy is a big part of Hard Rock culture. Some of the biggest names in music, such as Bon Jovi, John Lennon, Shakira, and Green Day, have participated in their Signature Series T-shirt and pins program. A large part of the proceeds from these items go to the artist’s favorite charity. The latest Signature Series collection was designed by 7-time Grammy Award winning artist Rihanna! High ceilings, a stage for live music, a dance floor, and state-of-the-art music equipment come together to create an unforgettable memory for you. Thick and rich broth makes a good impression here. Boiled chicken with ginseng (Samgyetang) gives a soft and tender taste with glutinous rice, chestnuts, ginseng and Chinese dates. The rich flavor of ginseng liquor, fried chicken gizzard, cubed white radishes, cabbage kimchi, and garlic with Korean hot pepper paste makes this dish even better. Lotte Department Store Jamsil Branch opened the same year that the 1988 Seoul Olympics were held. Today, the Lotte Department Store chain is known as one of the largest department store chains in Korea. At the Jamsil Branch, many nearby tourist attractions await visitors, such as Lotte Hotel, Lotte World Theme Park, an ice skating rink, a duty free shop, an outlet, the Lotte Folk Museum, and Jamsil Station Shopping Mall. The area acts as an all-encompassing tourist zone. You can shop at Lotte Department Store, stay overnight at Lotte Hotel, and enjoy a cultural experience at the Lotte Folk Museum for a fulfilling day. Lotte Department Store in Jamsil has transformed itself into a center of lifestyle, shopping, and leisure in this previously quiet suburban area of Seoul. It has now become a hub of tourism and shopping that can satisfy the various needs of all customers! Lotte Department Store is working in conjunction with Lotte Hotel and Lotte World, the shopping mall, a wedding hall, and Lotte Mart in order to prepare for a new era of luxurious lifestyles. Korea's first pop-up store built with shipping containers, Common Ground is approximately 5300 square meters in scale, made up of 200 large containers and is capable of transforming into different structures or moving into different places. Mega-sized mainstream brands are hard to spot in the common ground. Instead, new and trendy mid-sized shops by up-and-coming new designers and editorial shops can be found here. On the central square of the ground market, a weekend market is held with different themes. In addition, various events such as exhibitions and performances continue to entertain the shoppers while playing its role as a cultural space. On its 3rd floor terrace, famous restaurants sprawl along the sides of the alley. 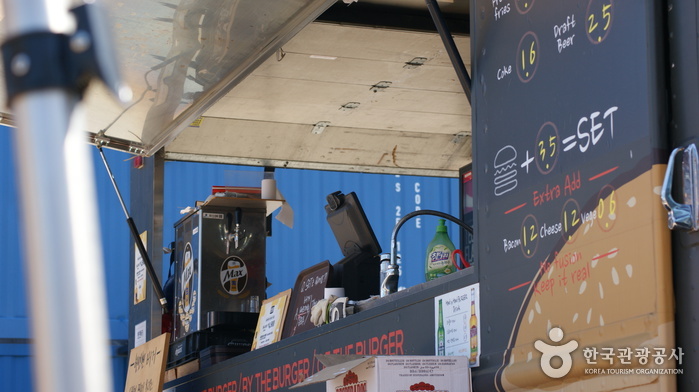 If you feel like having a light snack, you can also pop down to the food trucks on the market ground that offers an exotic gastronomic dining experience. 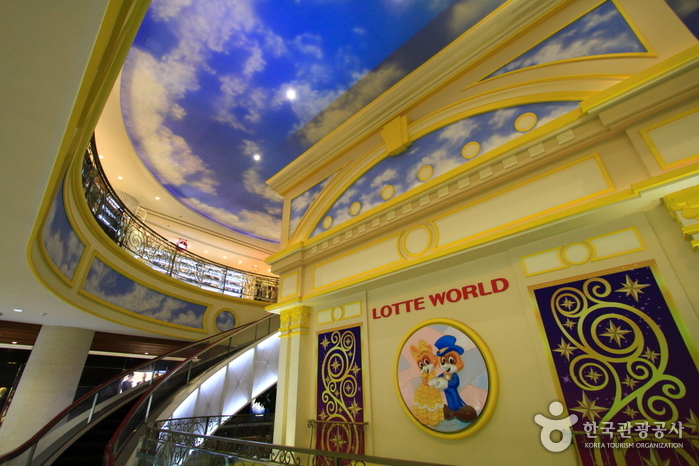 The Market (Jeoja) Street of the Lotte World Folk Museum is located on the third floor of the Lotte World Shopping Mall. Traditional restaurants are located on the Market Street, giving visitors the chance to taste many unique, traditional delicacies. Traditional art shops are located here as well, where visitors can watch skilled craftsmen making handicrafts. There is also a Performance Hall (Nanjang) providing a variety of exciting performances of traditional songs and dances for visitors to enjoy. Sejong Bookstore, the largest bookstore in Gangnam is located on the second floor. The second floor also holds a stationery store and the ‘Gymboree’ (http://www.gymboree.co.kr/) store which provides an area where children can enjoy music and art. Also located on the second floor is the ‘Foreign Furniture Street’, offering popular brands of furniture and decorative wares from all over the world such as pottery, jewelry and clocks. Boutiques, as well as Hanbok (traditional Korean dress) shops can also be found on this floor. For shopping and entertainment, the ‘International Market Street’ is the place to be. 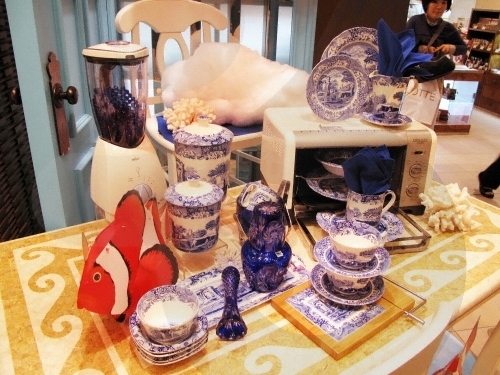 Here, you can find both inexpensive and high-quality goods ranging from clothes and accessories to miscellaneous goods. There are also five movie theaters located at the ‘Young Plaza’, along with the latest fashion trends. The International Market Street offers a wide selection of restaurants to suit different tastes, such as Korean, Japanese, and Chinese restaurants. Furthermore, fresh groceries can be purchased for low prices at the ‘Traditional Market’. Moreover, an entertainment attraction called the SBS Theme Studio holds many broadcasting events and internet game competitions including the KIGL (Korea Internet Game League). 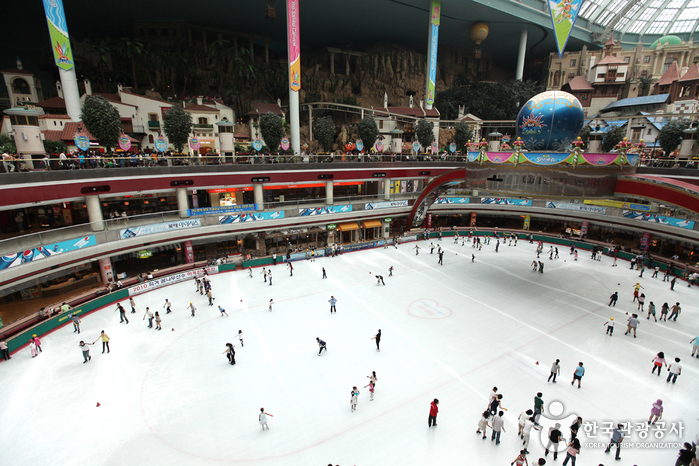 An ice rink is also located in the area, along with the Lotte World Adventure and a great selection of cafes for visitors to enjoy. A food court including restaurants such as Sizzler and Marché are located on B3. Don’t forget to take advantage of the various entertainment and sports facilities such as a bowling alley, shooting range, and arcades.